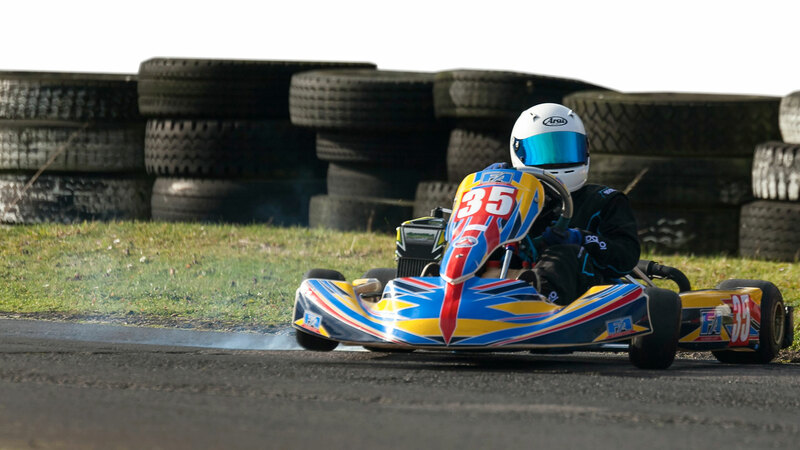 ​1/Fulbeck Sprint Series (FSS) is run at an MSA licenced circuit. Where appropriate MSA rules will apply. These may be changed, varied or amended to suit FSS at the discretion of the C.o.C and or the organisers with consultation with the competitors. If a change is made adequate notice will be given so that Drivers/Mechanics and teams can make changes to comply with the new rules and regulations. Changes will be published on the LKRC website (Fulbeck Event Page).Matters of safety will take immediate effect. 2/All competitors must be registered to the series .Registration is £10.00 per year. 12/Any driver under the influence of alcohol or drugs will not be permitted to race.If you sign on we have the right to ask for you to be breathalysed. 13/All new starters must inform the competition secretary that they are a new starter and will start at the back of the grid FOR THEIR FIRST 3 MEETINGS OR until the CoC considers they are competent to race from a predetermined grid. Failure to inform the secretary may result in exclusion form the meeting. 17/Proof of age:- WILL BE REQUIRED FOR ALL MINORS AND MASTERS E.G. BIRTH CERTIFICATE. 1/All karts and protective equipment including helmets, gloves and footwear may be inspected before practice. All karts and equipment must be scrutineered before commencing racing. Number plates must be fitted front, rear and both sides and must be kept in good condition. You must also display the correct number and coloured plate for your class. UNLESS YOU ARE A NOVICE PLEASE DON’T DISPLAY NOVICE PLATES ALL NOVICES WILL BE OF THE BACK OF THE GRID. 3/Passing under a stationary yellow flag will result in a 10 second penalty, if you allow the driver to regain position this penalty will not apply. Passing under a waved yellow WILL RESULT IN A 20 SECOND PENALTY WITH NO APPEAL. 4/When a race has finished a yellow flag will be shown at the next post. Racing must stop when you have taken the chequered flag. Drivers must slow to a steady pace. DO NOT overtake on the return to parc ferme. Drivers not obeying this rule and who continue to drive at excess speed will be disqualified from that race and further action may be taken by the clerk. 3/If a wet meeting is declared only karts fitted with wet tyres and comply with class regulations, as listed for that class with a minimum 2mm tread depth may start the race. 7/Tyres must be of the make and type stipulated by the class rules. Tyres will be marked or bar coded on scrutineering card. A change of tyre prompted by tyre failure must be approved by the chief scrutineer and left in scrutineering until the end of the meeting. Any use of tyre softener or any means known or unknown to gain an unfair advantage from tyres will result in an exclusion from the event. 1/All engines run to MSA classes and must run to MSA specifications any exceptions will be published in the class rules. 4/Competitors have the right to protest another competitor’s engine. £250.00 must be deposited with the organisers. This is returnable in full should the protest be successful .If the protest fails this fee will be used towards the rebuild labour cost with any balance returned. 1/Child protection officers Steve Wren and Julie Thornsby. 3/Driving in a manor not deemed to be of a safe, acceptable or in the sprite of the sport may result in a ban with the competitor required to appear in front of the organisers. To resolve a tie in the grid position for the final the driver with the highest points in the 1st heat will take the higher position. The winner of each class will be the competitor with the highest overall points. In the event of a tie the driver with the most 1st places, 2nd places and so on will decide the result. 2/Underweight (No appeal):- Race exclusion IT IS YOUR RESPONABLITY TO CHECK YOUR WEIGHT.